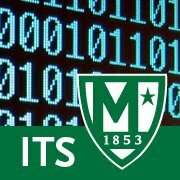 #TellITS - We would like to express our gratitude to the Manhattan College community for continuing to reach out to us for tech support as well as provide us with feedback on our services. The 'Tell ITS' icon found on public computers across campus is a convenient way to communicate with us and help us identify technology-related issues. Please continue to reach out to us via the TellITS form (http://manhattan.edu/tellits). You may also report issues to its@manhattan.edu or 718-862-7973. The faster we know about an issue, the faster we can resolve it. We need your continued support in helping us identify issues and get them resolved as quickly and efficiently as possible.